Keygrabber Module - for full integration. 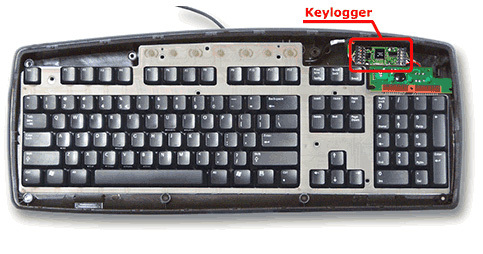 KeyGrabber Module hardware keylogger is small but powerful. Designed for full integration with USB or PS/2 keyboard to make it completely stealth. 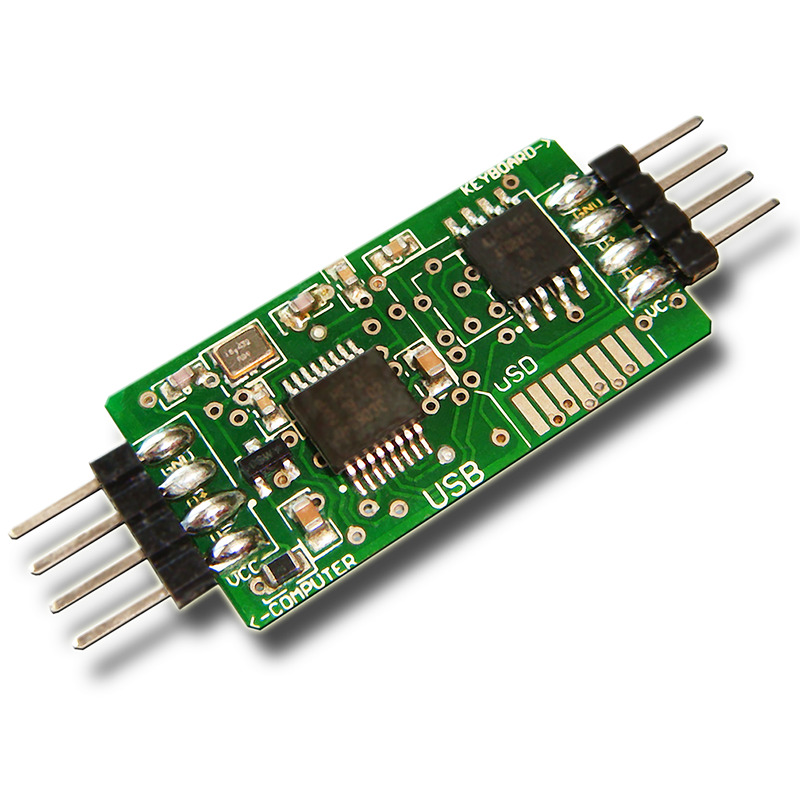 All KeyGrabber Module USB models are offering the super fast data retrieve, achieved by switching into Flash Drive mode for download as it's a common market standard. 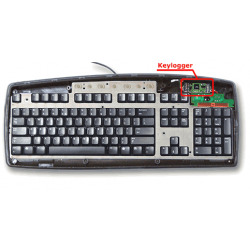 This hardware keylogger is completely transparent for computer operation, no software or drivers required. For KeyGrabber Module PS/2 version the main memory access mode is Text Menu mode (USB download mode is active but available with use of USB cable, after module extraction form the target keyboard). KeyGrabber Module supports national keyboard layouts with selection of 47 national layouts available. Model: PS/2 or USB depending on the target keyboard. WiFi (coming soon): extending connectivity features to access your data remotely (WWW interface, real-time data access, Access Point mode, WiFi client mode, FTP backups, e-mail reports and more). All WiFi modules integrates the NTP software based date&time stamping feature. If you don't want to open your keyboard and install Module - we can do it for you. Please contact us to set all details as we will do it with pleasure! Modules installed by our team may be additionally equipped with WiFi and TimeKeeper features unavailable for regular Modules.